Philip Hammond has abandoned his boss’s now famous “jams” (just about managing) families in the worst of all possible worlds. With a small softening of his predecessor’s cuts of £3.4bn to universal credit (UC), the chancellor has conceded the government should help those who are just managing. But the changes to the UC taper rate – which will be cut by just 2p in the pound from 65 per cent to 63 per cent – are a tokenistic gesture that will do precious little to incentivise work. The cuts to UC still amount to more than £2.5bn. And, the chancellor has staunchly refused to do anything to ease the misery of the thousands of people who have a health condition or disability which limits their ability and stand to lose almost £30 a week from their employment and support allowance (ESA). People knew that from the chancellor’s own lips that borrowing was going to be far higher, growth much slower and prices would rise. 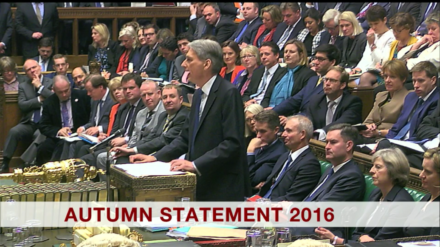 But a clear picture has now also emerged of what the Autumn Statement will mean for household budgets as others have examined the numbers. It’s not just my view that the chancellor did precious little to help my constituents in Leeds, and those in the rest of the country, who are finding it harder than ever to pay the bills. The Resolution Foundation’s conclusion is that the lowest paid households will be the hardest hit over the next five years. According to its analysis, a couple with two children where the main breadwinner is working full-time on the national living wage will be £1,780 worse off overall – and that’s despite other measures that increase their income by £190. Average earnings are now predicted to be £830 a year lower than forecast in 2020 with this decade shaping up to be one of the weakest for wage growth at just 1.6 per cent between 2010 and 2020. There was a similar verdict from the independent Institute for Fiscal Studies (IFS). It warned that real wage levels in 2021 are still expected to be below the pre-recession levels of 2008. IFS director Paul Johnson described the prospect of more than a decade without any real earnings growth as “dreadful” and said Britain had not seen “a period remotely like it in the last 70 years”. Yet, the chancellor and prime minister seem oblivious to how they have betrayed the “jams” whom Theresa May stood outside Downing Street and promised she would help. It’s as if the two of them are standing on the shore and refusing to throw a lifebelt to people they can see are drowning. Despite the pain their financial measures are inflicting, and their failure to help those on low wages and those receiving in-work benefits, the chancellor is forging ahead with help for the better off. Inexplicably, George Osborne’s plan to raise the inheritance tax threshold for a couple to £1m is still on that table – a £1bn handout to the wealthy that would be much better spent expanding childcare which would help many of the families the government says it wants to support. And, the chancellor went ahead with raising the higher rate 40 per cent income tax threshold to £50,000. Given the bleak outlook for the economy, this should not have been a government priority. When it came to pensions, rather than simplifying the system with a flat rate of 33 per cent tax relief on contributions as I have proposed, the chancellor left millions fearful the triple lock on the state pension could be axed. With the national debt set to soar to nearly £2 trillion, extra borrowing of £122bn and a £58.7bn “Brexit hit” on the cards, the Chancellor has left the economy in a perilous state. But his Autumn Statement is equally bleak for ordinary households and the jams the Government promised it would look after. I fear many of those families will find that, instead of just managing, they will be struggling to survive. It’s time Theresa May and the chancellor listened to their SOS and did far more to help them. Rachel Reeves is Labour MP for Leeds West and a member of the treasury select committee. Her new book, Alice in Westminster: The Political Life of Alice Bacon, published by IB Tauris, is out on December 1.